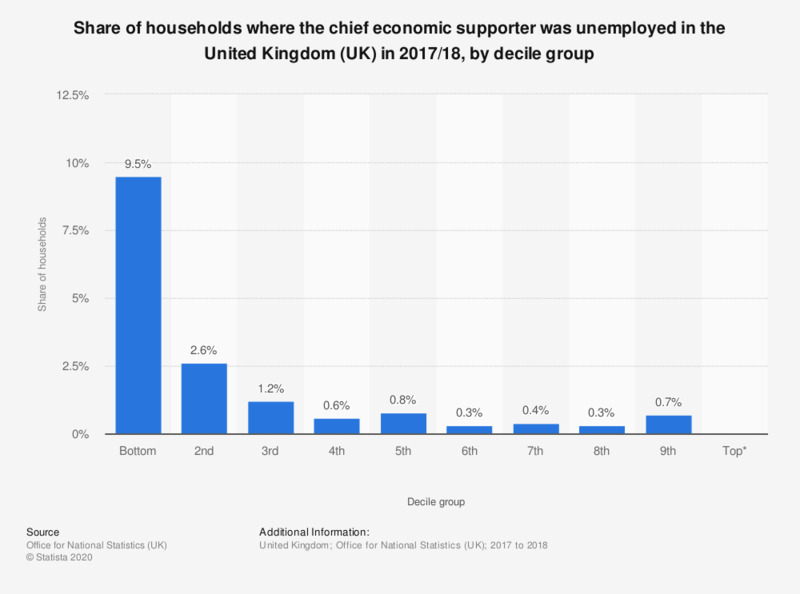 This statistic displays the share of households the chief economic supporter was unemployed in the United Kingdom (UK) in 2017/18, by decile. Almost ten percent of the households, in the bottom decile, lived in a home where the chief economic supporter was unemployed. This was the highest share of any decile group, whilst only 0.3 percent of households in the eighth decile did so.